Cosmologists have found what they believe to be the echoes of a galactic collision some 100 million years ago with our own Milky Way galaxy. Our galaxy, the Milky Way, is a large spiral galaxy surrounded by dozens of smaller satellite galaxies. 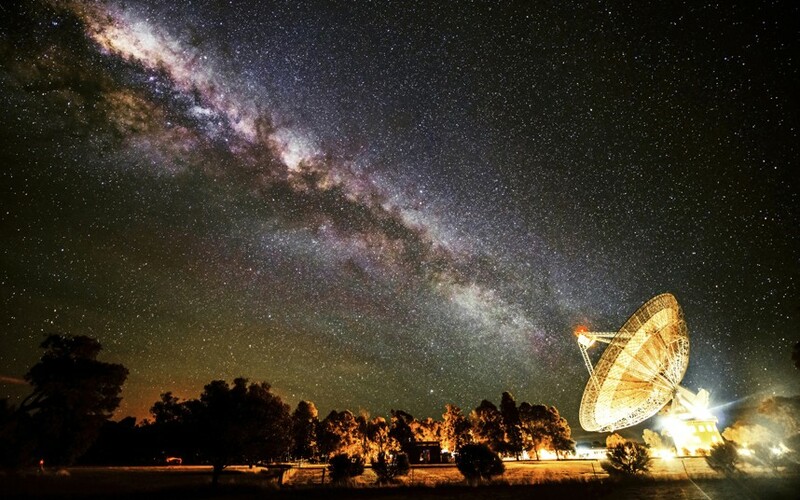 Scientists have long theorized that occasionally these satellites will pass through the disk of the Milky Way, perturbing both the satellite and the disk. A team of astronomers from Canada and the United States have discovered what may well be the smoking gun of such an encounter, one that occurred close to our position in the galaxy and relatively recently, at least in the cosmological sense. The discovery is based on observations of some 300,000 nearby Milky Way stars by the Sloan Digital Sky Survey. Stars in the disk of the Milky Way move up and down at a speed of about 20-30 kilometers per second while orbiting the center of the galaxy at a brisk 220 kilometers per second. Widrow and his four collaborators from the University of Kentucky, the University of Chicago and Fermi National Accelerator Laboratory have found that the positions and motions of these nearby stars weren’t quite as regular as previously thought. When the collaboration started analyzing the SDSS data on the Milky Way, they noticed a small but statistically significant difference in the distribution of stars north and south of the Milky Way’s midplane. For more than a year, the team members explored various explanations of this north-south asymmetry, such as the effect of interstellar dust on distance determinations and the way the stars surveyed were selected. When those attempts failed, they began to explore the alternative explanation that the data was telling them something about recent events in the history of the Galaxy. The scientists used computer simulations to explore what would happen if a satellite galaxy or dark matter structure passed through the disk of the Milky Way. The simulations indicate that over the next 100 million years or so, our galaxy will “stop ringing:” the north-south asymmetry will disappear and the vertical motions of stars in the solar neighborhood will revert back to their equilibrium orbits — unless we get hit again. Four billion, or so, years from now, our very own Milky Way galaxy is expected to begin a slow but enormous collision with its galactic sibling, the Andromeda galaxy. Cosmologists predict the ensuing galactic smash will take around 100 million years to complete. It’s a shame we’ll not be around to witness the spectacle. The galactic theme in the context of planets and life is an interesting one. Take our own particular circumstances. As unappealingly non-Copernican as it is, there is no doubt that the Milky Way galaxy today is ‘special’. This should not be confused with any notion that special galaxy=special humans, since it’s really not clear yet that the astrophysical specialness of the galaxy has significant bearing on the likelihood of us sitting here picking our teeth. Nonetheless, the scientific method being what it is, we need to pay attention to any and all observations with as little bias as possible – so asking the question of what a ‘special’ galaxy might mean for life is OK, just don’t get too carried away. First of all the Milky Way galaxy is big. 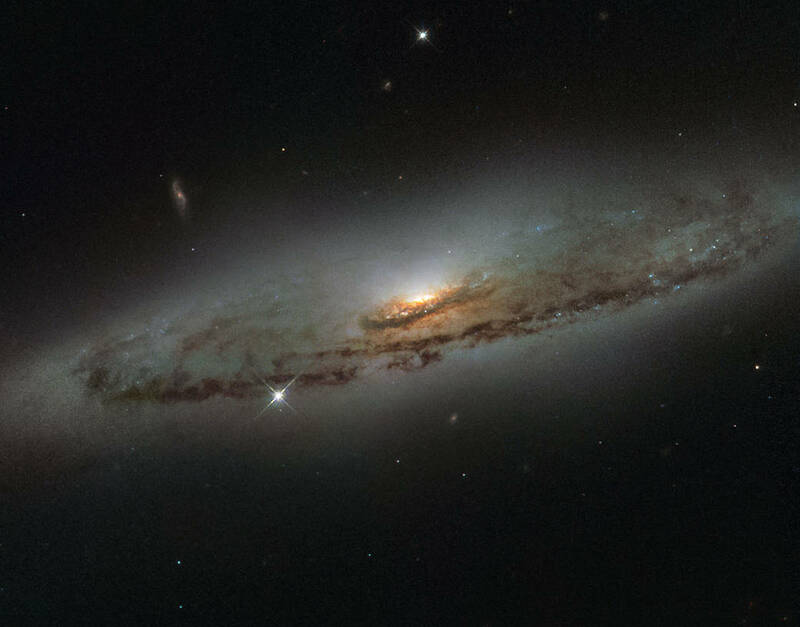 As spiral galaxies go it’s in the upper echelons of diameter and mass. In the relatively nearby universe, it and our nearest large galaxy, Andromeda, are the sumo’s in the room. This immediately makes it somewhat unusual, the great majority of galaxies in the observable universe are smaller. The relationship to Andromeda is also very particular. In effect the Milky Way and Andromeda are a binary pair, our mutual distortion of spacetime is resulting in us barreling together at about 80 miles a second. In about 4 billion years these two galaxies will begin a ponderous collision lasting for perhaps 100 million years or so. It will be a soft type of collision – individual stars are so tiny compared to the distances between them that they themselves are unlikely to collide, but the great masses of gas and dust in the two galaxies will smack together – triggering the formation of new stars and planetary systems. Some dynamical models (including those in the most recent work based on Hubble telescope measurements) suggest that our solar system could be flung further away from the center of the merging galaxies, others indicate it could end up thrown towards the newly forming stellar core of a future Goliath galaxy (Milkomeda?). Does any of this matter for life? For us the answer may be moot. In about only 1 billion years the Sun will have grown luminous enough that the temperate climate we enjoy on the Earth may be long gone. In 3-4 billion years it may be luminous enough that Mars, if not utterly dried out and devoid of atmosphere by then, could sustain ‘habitable‘ temperatures. Depending on where the vagaries of gravitational dynamics take the solar system as Andromeda comes lumbering through, we might end up surrounded by the pop and crackle of supernova as the collision-induced formation of new massive stars gets underway. All in all it doesn’t look too good. But for other places, other solar systems that we see forming today, it could be a very different story. Astrobiologist Caleb Scharf brings us up to date on Fermi’s Paradox — which asks why, given that our galaxy is so old, haven’t other sentient intergalactic travelers found us. The answer may come from a video game. Right now, all across the planet, millions of people are engaged in a struggle with enormous implications for the very nature of life itself. Making sophisticated tactical decisions and wrestling with chilling and complex moral puzzles, they are quite literally deciding the fate of our existence. Or at least they are pretending to. The video game Mass Effect has now reached its third and final installment; a huge planet-destroying, species-wrecking, epic finale to a story that takes humanity from its tentative steps into interstellar space to a critical role in a galactic, and even intergalactic saga. It’s awfully good, even without all the fantastic visual design or gameplay, at the heart is a rip-roaring plot and countless backstories that tie the experience into one of the most carefully and completely imagined sci-fi universes out there. As a scientist, and someone who will sheepishly admit to a love of videogames (from countless hours spent as a teenager coding my own rather inferior efforts, to an occasional consumer’s dip into the lushness of what a multi-billion dollar industry can produce), the Mass Effect series is fascinating for a number of reasons. The first of which is the relentless attention to plausible background detail. Take for example the task of finding mineral resources in Mass Effect 2. Flying your ship to different star systems presents you with a bird’s eye view of the planets, each of which has a fleshed out description – be it inhabited, or more often, uninhabitable. These have been torn from the annals of the real exoplanets, gussied up a little, but still recognizable. There are hot Jupiters, and icy Neptune-like worlds. There are gassy planets, rocky planets, and watery planets of great diversity in age, history and elemental composition. It’s a surprisingly good representation of what we now think is really out there. But the biggest idea, the biggest piece of fiction-meets-genuine-scientific-hypothesis is the overarching story of Mass Effect. It directly addresses one of the great questions of astrobiology – is there intelligent life elsewhere in our galaxy, and if so, why haven’t we intersected with it yet? The first serious thinking about this problem seems to have arisen during a lunchtime chat in the 1940?s where the famous physicist Enrico Fermi (for whom the fundamental particle type ‘fermion’ is named) is supposed to have asked “Where is Everybody?” The essence of the Fermi Paradox is that since our galaxy is very old, perhaps 10 billion years old, unless intelligent life is almost impossibly rare it will have arisen ages before we came along. Such life will have had time to essentially span the Milky Way, even if spreading out at relatively slow sub-light speeds, it – or its artificial surrogates, machines – will have reached every nook and cranny. Thus we should have noticed it, or been noticed by it, unless we are truly the only example of intelligent life. The Fermi Paradox comes with a ton of caveats and variants. It’s not hard to think of all manner of reasons why intelligent life might be teeming out there, but still not have met us – from self-destructive behavior to the realistic hurdles of interstellar travel. But to my mind Mass Effect has what is perhaps one of the most interesting, if not entertaining, solutions. This will spoil the story; you have been warned. Without going into all the colorful details, the central premise is that a hugely advanced and ancient race of artificially intelligent machines ‘harvests’ all sentient, space-faring life in the Milky Way every 50,000 years. These machines otherwise lie dormant out in the depths of intergalactic space. They have constructed and positioned an ingenious web of technological devices (including the Mass Effect relays, providing rapid interstellar travel) and habitats within the Galaxy that effectively sieve through the rising civilizations, helping the successful flourish and multiply, ripening them up for eventual culling. The reason for this? Well, the plot is complex and somewhat ambiguous, but one thing that these machines do is use the genetic slurry of millions, billions of individuals from a species to create new versions of themselves. It’s a grand ol’ piece of sci-fi opera, but it also provides a neat solution to the Fermi Paradox via a number of ideas: a) The most truly advanced interstellar species spends most of its time out of the Galaxy in hibernation. b) Purging all other sentient (space-faring) life every 50,000 years puts a stop to any great spreading across the Galaxy. c) Sentient, space-faring species are inevitably drawn into the technological lures and habitats left for them, and so are less inclined to explore. These make it very unlikely that until a species is capable of at least proper interplanetary space travel (in the game humans have to reach Mars to become aware of what’s going on at all) it will have to conclude that the Galaxy is a lonely place.